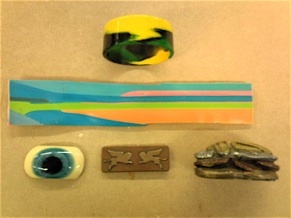 There are numerous techniques for casting with Resins, some use pigments others use objects or fillers. 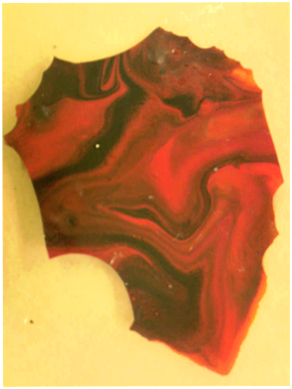 ‘Marbling’ is a term used to describe the replication of marble-like castings using Resin, primarily GP resin, but others may be used with similar results. Layering uses a slightly different pouring technique to create camouflage and banded effects. The process begins with the basic Resin/Catalyst mix. If you are using GP resin (a Polyester) for your casting, you must understand the principles of altering the catalyst ratio to suit your work. You must be aware of the relationship between volume and surface area before you begin casting. If you do not, you may be endangering yourself and other workshop users’ health. How do I Marble and Layer with resin? When estimating the amount you will need, remember there must be a little more than you think you will need, as some loss of material is inevitable. easily achieve very different effects. Below is a list of ways you may pour the coloured resins. 2.Pour all the colours back into one pot and stir once. 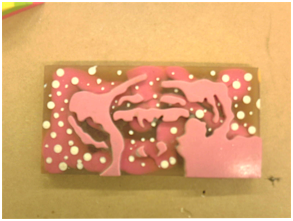 As you pour the resin into the mould you will notice the colours are not completely mixed and looks streaky. As the resin settles the colours blend very subtly creating a marble-like colouring, complete with depth and ‘veins’ of colour. 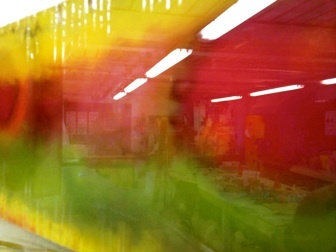 3.Keeping the colours separate, pour in a little of one colour straight into the mould. Immediately pour a little of another colour, then another colour, and so on. Until the mould is full. Remember that the more colour you pour at once the larger the bands of colour will be. This will give you a casting similar to the design of camouflage. 4.Again, keeping the colours separate, pour all the pots in at once. You may need help doing this depending how many pots/colours you have. This technique will produce quite distinct vertical bands of colour that blend slightly where they come into contact with one another. For larger castings, encapsulations or horizontal/defined stripes, we must consider the build up of residual heat and how it might affect the casting. 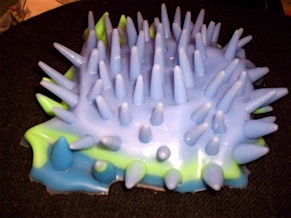 (see Polyester-GP resin) This techniques requires good working knowledge of how the Resin will perform as each layer cures. The process is quite lengthy, so allow yourself plenty of time to complete the casting, work out in advance how many layers you will need and how long each layer takes to cure before the next layer may be added. 5. To begin, pour out enough resin for your first layer, add your catalyst/pigment and pour the mixture into the mould, take care here not to spill any down the sides (inside) of the mould. Wait until it is almost set, it should be firm but not hard (like soft cheese). Mix enough for the next layer and pour. This continues until the mould is full or until you have arrived at your desired thickness.